After its first primetime spot on the Grammy’s this weekend, the Youtube views for the advertisement have ballooned to 5 million, eclipsing viral status and entering legendary territory. It has over 22,000 likes and has sent the music news world into a posting frenzy. Of course, also, it has sparked the questions of whether Willie Nelson’s version is better than the original. Even Coldplay fans are bowing to the 78-year-old country crooner saying that his version is superior. I don’t think it is possible to say which version is better. Despite that Nelson’s version is a cover, the two songs couldn’t be more different. Seriously, I have heard two original songs sound more alike than these two versions of the same song. Coldplay leadman Chris Martin recorded “The Scientist” after a late-night rendezvous with an out-of-tune piano in Liverpool. He just happened upon the chords and thought they sounded lovely. He actually wanted to work on the George Harrison song “Isn’t it a Pity,” but found “The Scientist” instead. After being released as the second single from A Rush of Blood to the Head in 2002, the four-chord melody took off and today is one of Coldplay’s most beloved songs. Coldplay’s version is almost certainly about a failed relationship and a plea to try again. Willie Nelson’s version, though, recorded in 2011 for the Chipotle commercial, takes on a completely different feel. Nelson has been a widely renowned critic of overly mechanized farming and the poor treatment of farm animals and independent farmers. The song, in this sense, seems to be a plea to tear down our modern farming constructs and work ourselves back to healthy food and family farming. It is a plea for health, and, in that way, may even make the lyric (while it doesn’t fit perfectly) stronger. So what about Willie Nelson’s version is so fantastic. Let’s start with the Coldplay version (above). Chris Martin’s elegant falsetto is infectious and the simple piano fits his voice well. The song is stripped down itself, rising softly with some strings and drums, but remaining a true ballad throughout. It is celestial and boundless in its omnipotence. Listen to how it sets the nighttime scene. Nelson’s version is more rural and pastoral. It sounds like it can be played on a porch while looking out on an open plain. Instead of a piano, Nelson favors a tuned-down acoustic guitar, picked delicately, with a haunting electric providing a passionate whine. The drums begin in the second verse and I like the addition. The sound remains soft, but full, with many tasteful elements. The kicker in this song is Willie Nelson’s voice. 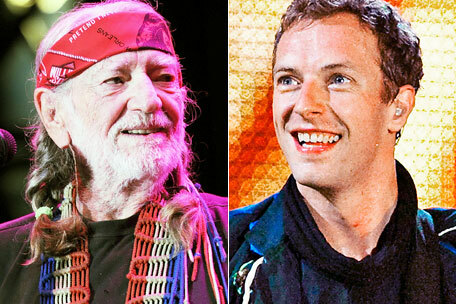 There is no denying that Chris Martin has a wonderful voice, but Nelson’s worn croon is, itself, an American icon. His voice is stitched into the tapestry of America’s music tradition with musicians like Johnny Cash and Buddy Holly. At 78 years old, his voice painted with such tenderness and verisimilitude, I almost feel that I am with him seeing his farm turn into an intolerable operation. Before this song was released, I, like everyone, would have probably said that Willie Nelson’s greatest cover is his version of “Always on My Mind” which reached #5 on the U.S. charts in 1982. But now, I think that “The Scientist” is clearly number one. And, I think it has a similar power that Johnny Cash’s version of “Hurt,” originally by Trent Reznor and Nine Inch Nails, has. Simple, passionate, and real. A musician who has been through it all giving a career performance (like a historical record). Reznor has publicly come out and laughed about how Johnny Cash’s version made his song a Johnny Cash song, and while the same may never happen with Nelson’s “The Scientist,” I do think Chris Martin may have to soon publicly acknowledge how legendary Nelson’s version is. This is all new to me. we don’t have that commercial here as we don’t have the Chipotle chain. The song is very well done. It could easily be seen as a better song than the original.